I found out that I received this snazzy little award the other day, but was too busy to post about it (and I was in a very grumpy mood for no real reason). Well this morning is nice and sunny and I'm feeling great so now I can shout yay for getting my first award thingy. Yay! I have to thank Brittany over Budget Crafts for sending this to me. 1. One of the scariest moments in my life was when my hubby and I tried to juggle in a park very near where we lived and got attacked by a mob of 5 year olds. We haven't done too much juggling since. 2. The other scariest moment in my life was when a deer ran into my brand new orange car. Only had it for 3 weeks and I am convinced the deer was trying to commit suicide. I never was a fan of hunting until then. 3. I love rice crispy treats and can eat a very large amount of them in a very short amount of time. 4. The hardest part about being pregnant is that I can't really drink much Mountain Dew. I love Mountain Dew! 5. I am crazy about red pandas. I will spend an hour at the zoo just looking at them. They are soooo cute! 6. The best job I've had was working at a radio station. Crazy hours and everything that could go wrong always did on my shift, but was still super fun. 7. I love to play hand bells and would love to make that my job if I could just figure out how and if I could afford my own set (3 octaves is my goal). 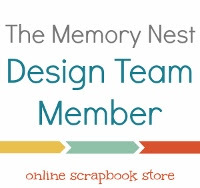 Now to send this to some other really cool blogs that I find inspirational or have a ton of crafts that I want to do. Some are big and have been around for a long time, and others not as much. 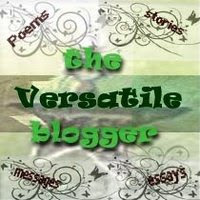 Thank you for nominating me as a Versatile Blogger! I'll try to pass it along, but it may be a few days. I enjoyed reading your list of 7 things! Thank you for the award! I'm having a sort of zonky day myself, but soon as I pull myself together, I'll blog about it! Thanks for liking my blog. My daughter is in a coop preschool, thus I work in a preschool one day a week. At some point you get used to being attacked by mobs of 4-5 year olds. What is your banner picture? It looks really interesting. Clay balls? I can't figure it out. My banner picture is clay eggs. I made them a long time ago, but I plan on making some more soon. It's just such a pain to blow out eggs. Oh thank you so much!! Man, I wish I could juggle, I'm a little jealous right now!